Heal seal capacity is one of most important performance in plastic package. 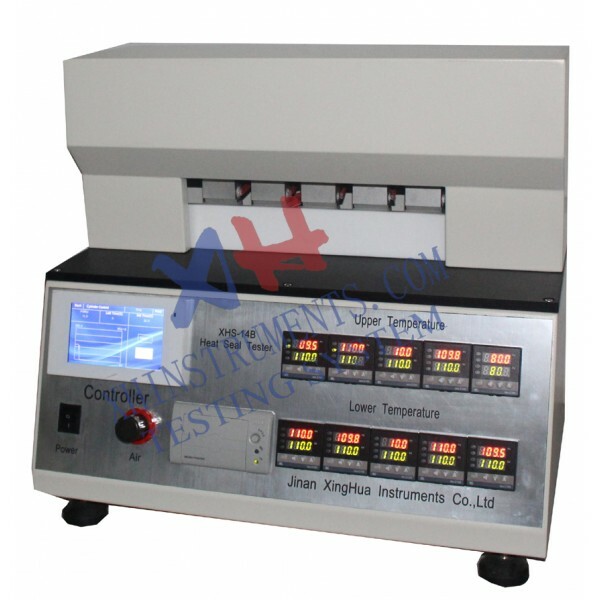 The XHS-14 Heat Seal Tester requests and takes heat-press seal method to test heat-seal temperature, time and pressure of plastic film material, soft packaging laminated film and other laminated film. The instrument could test 5 groups specimens at different temperatures simultaneously, and accurately and efficiently obtain heatsealability parameters of the tested specimens. 5 upper sealing jaws are individually controlled which ensure the stability of heat sealing process. Independent temperature control of upper jaws (5 pcs) and lower sealing jaws (1 pc) allows multiple combinations of test conditions.